Dev Problems - Page 8 of 8 - Magento and Laravel plugins, information, intructions and more. A common problem in Magento is the lack of an import / export program in Magento. One of the solutions is importing / exporting directly to the MySQL database, but there is a nice plugin as well, made by user Santhosh, well known from the Magento Commerce Forum. Install the plugin by uploading it to your webdir. In the admin, a menu Santhosh will appear. You can run it now in order to import/export. The category sheet will appear in the following CSV format. 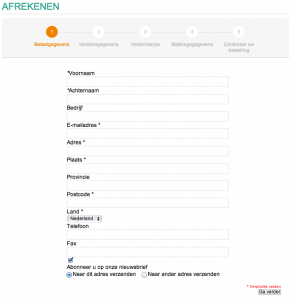 So you have a Magento webshop, but you would like to add additional Magento subwebshops linked to your webshop? 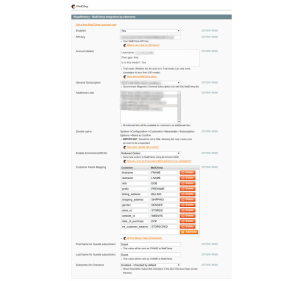 Than the Magento Multi-store feature could be something for you. First you’ll have to add a store or website. Most of the time a store is good enough since it uses the same client database. After adding a store, add a storeview and remember the code of the storeview. In this case the domain: domainsub.com will be linked to the storeview: substore_en . After this, make sure the storeview is set up correctly in Magento. Go to: System > Configuration > Web and edit the url’s (insert domainsub.com). After that, refresh cache. Everything should work now. A common used unnecessary step is the login step. Most people are not interested in getting account. Therefore it could be better removing this step. 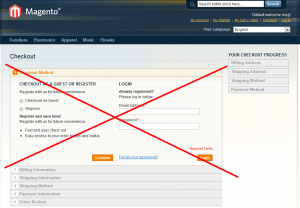 Excellence Magento Blog created a good solution that removes the login step. Go to http://www.excellencemagentoblog.com/magento-onestep-checkout-remove-login-step and follow the instructions or like them on Facebook in order to get the complete file. Would you like to make a shipping system based on location and weight? So in the country column you place the column. In the state/province column * means all states/provinces. Subtotal and above means the subtotal for which the shipping rule is valid. And for shipping costs you will set the shipping costs that will be charged. 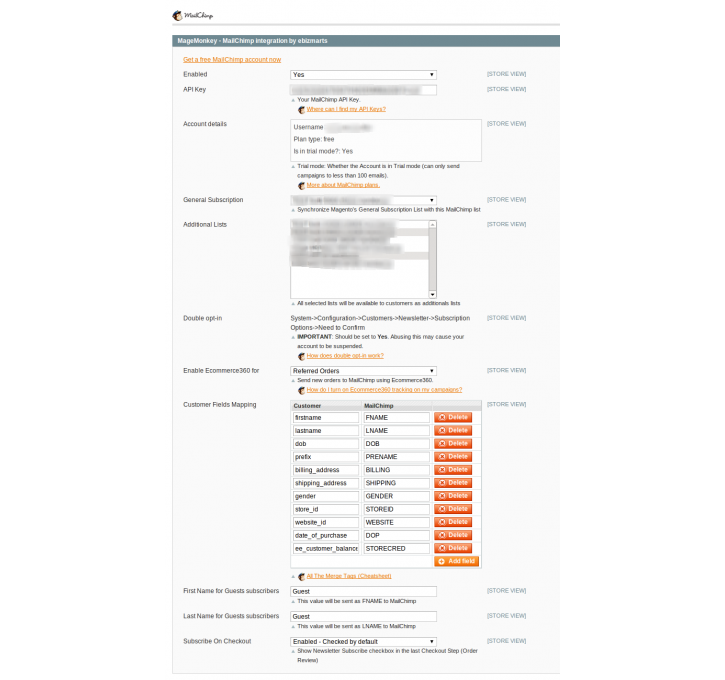 Would you like to link Magento with Mailchimp? So you started a new Magento webshop and got overwhelmed by lots of features and widgets? It could be that you would like to remove some widgets and plugins. In order to do that, navigate to: /app/design/frontend/default/default/layout and open local.xml (or create it). 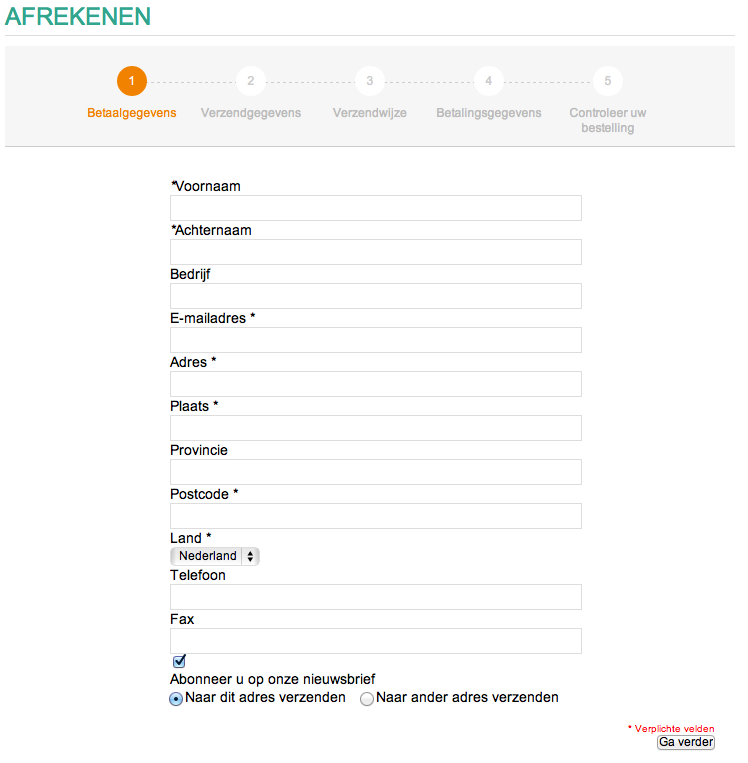 One of the most important pages of your webshop is the checkout page. When people want to checkout, they expect a fast way of checkout. 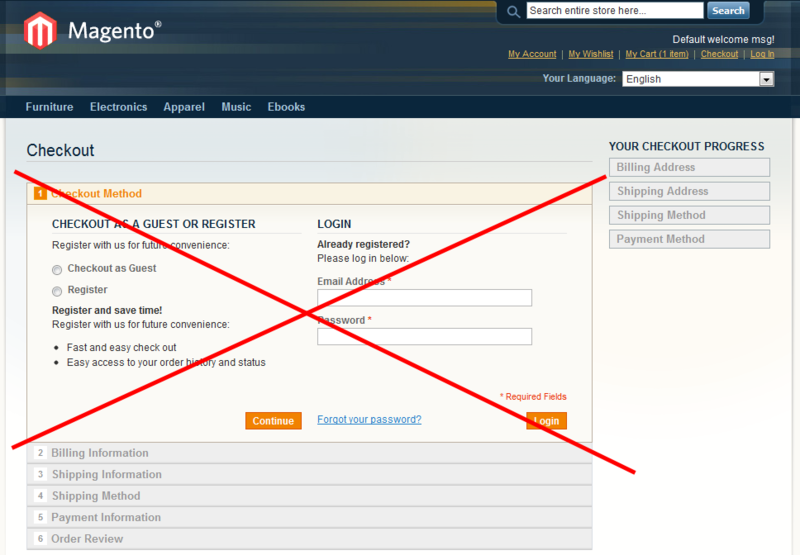 Unfortunately the current checkout of Magento is still a bit annoying, because of the illogical checkout process. So what should you do? Buy an expensive one step checkout for a starting webshop? No, that’s not necessary. There is a solution that only requires some CSS improvements and changes the process dramtically. Also want to know how to remove the unnecessary login step? Standard the size of Magento product icon pictures are 135 x 135 pixels. For most purposes that size is a bit to small. How to change the size of these picture? Upload the file to your webdir and refresh the cache. Now you see the images in the greater format. You can do the same for the images on the product page. Just go to /app/design/frontend/default/default/template/catalog/product/view and open media.phtml. Here you see the same tag with resizing to 265. Change this to your desired format and refresh the cache. Hello world! Welcome to Magento Problems. Magento Problems is a new blog on which I share all kind of problems that I come across myself in developing Magento websites. For example I share tips about plugins, common problems and more. Keep track of this blog, because I’ll try to post updates on regulary basis. Posted on 6 May 2012 Categories UncategorizedLeave a comment on Hello world! Welcome to Magento Problems.